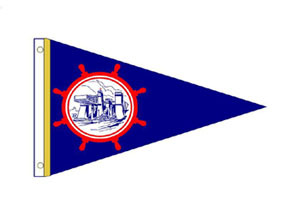 CPS-ECP and Peterborough Burgee logowear is now available through the URStore! Shop the CPS-ECP Peterborough online apparel store for a wide selection of clothing, sportswear, gear, merchandise and accessories. 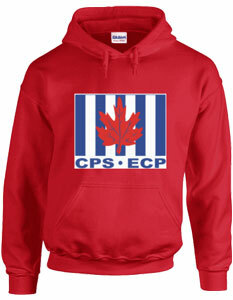 Show your pride, spirit and support by wearing your CPS-ECP Peterborough gear. Pick from a great assortment of CPS-ECP Peterborough products, colors and designs. All CPS-ECP Peterborough products in your online store are exclusively produced and fulfilled by URstore, a Canadian company located in Vancouver, BC. It's easy to do: just go to this website, start shopping, and receive free shipping for all orders over $95! Take this opportunity to purchase a treat for yourself, a gift to thank your boating crew, or start your Christmas shopping early! Launched in 2011, URstore is a leading provider of free customized online clothing & gear stores that offer a great selection of apparel and accessories branded with customer's own art / logo. As well, URstore gives back thousands of dollars (10% of every online sale) in support of schools, sports teams, and organizations of all types. The company was built on the simple idea of giving every fan the opportunity to help support their own school, team(s), organization with customized gear they are proud of and love to wear! Embracing leading-edge technology URstore possesses a highly innovative and secure e-commerce platform that enables it to customize gear one piece at a time (no minimums) and launch online clothing stores literally in minutes. This service saves customers valuable time and energy and eliminates the need for costly inventory. Applicable taxes on all quoted prices. You must show your valid current CPS-ECP Membership Card to purchase CPS-ECP Flags. Burgees are available to Members and Non-Members. The art work and set up for the logo shown here was prepared by Reaction Sportswear in the Northcrest Plaza, off Hilliard Street, in Peterborough. Members can drop in and pick out reasonably priced clothing from the catalogue and have the logo embroidered or silk screened on the clothing for a $4.00 charge. Reaction Sportswear is at 184 Marina Blvd., Unit 16, Peterborough, Ontario, Phone 705.748.0673. If you are interested in other CPS-ECP Regalia please contact one of your Squadron Officers or visit Ships Store on the CPS-ECP National Website.